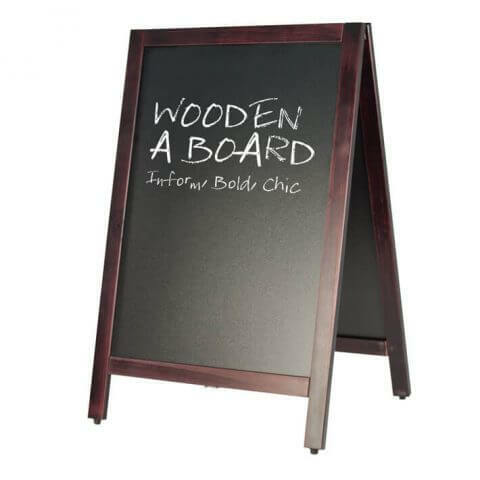 The A Board (liquid chalk) is a traditional and functional A sign board. Perfect for liquid chalk pens (available separately). 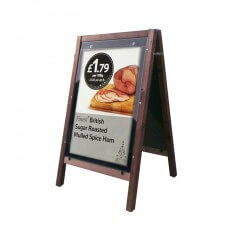 Ideal for use in retail and catering environments. 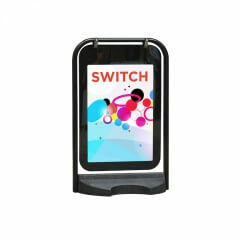 This A board is suitable for indoor or outdoor use. It comes ready assembled. 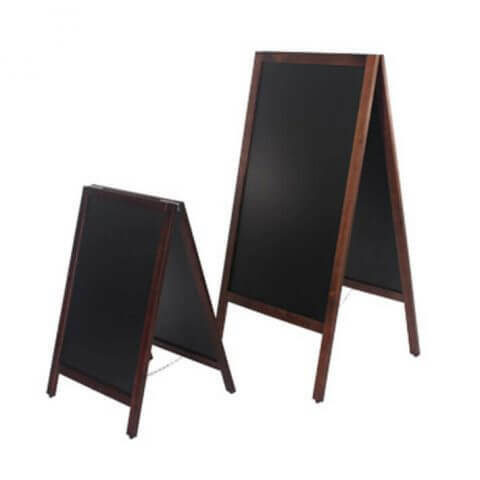 The A boards are available in large or medium sizes. Liquid chalk pens are available to purchase in packs on this site. Both of these A boards have a high quality wood finish frame. They have rubber feet, chrome hinges and a tensioning chain. These smart, robust and versatile signs are double-sided. Make sure that your message gets to your potential customers. Easily change your multi-coloured images. Simple, practical and not too difficult to lift and carry. Let your creative juices flow and communicate with passing trade. 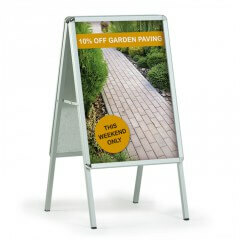 More and more companies are using pavement signs to attract passing trade. Wooden A Boards are robust. Because of this they can be left chained in more distant spots. They are not heavy or awkward. You can quite easily set them up and bring them in at the end of the day. 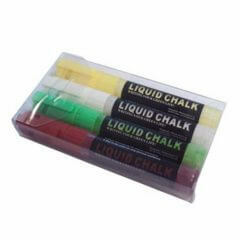 Liquid chalk pens come in yellow, white, green and red. See full details under the Accessories tab. 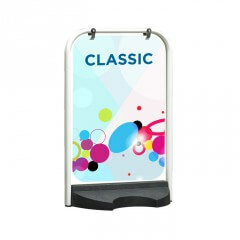 All weather A-boards with spring-loaded grip-frame graphic holder and solid galvanised backboard. £62.70 need help? contact us!